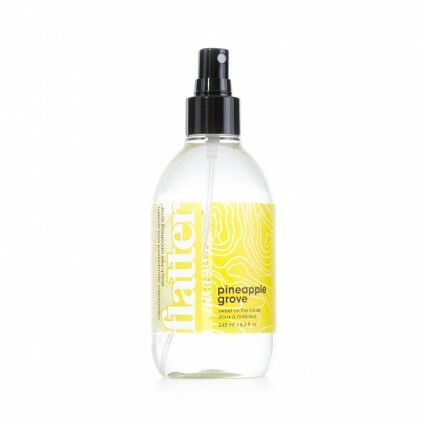 FLATTER SPRAY 8.4oz PINEAPPLE GROVE Flatter makes ironing easier. Use steam or dry iron at recommended fabric settings. Spray entire garment evenly. Repeat as needed for desired stiffness. Use to freshen fabrics between washings, or spray to reduce and help resist wrinkles. Pineapple Grove: Be a pineapple. Stand Tall, wearing a lily filled crown, and always be sweet on the inside.